Sumatran orangutans face extinction in the next decade, with Bornean orangutans soon after. They are found only in the rainforests of Borneo and Sumatra. Both species are critically endangered. In the past 60 years the population has declined by 60% with a projection of 82% over 75 years. 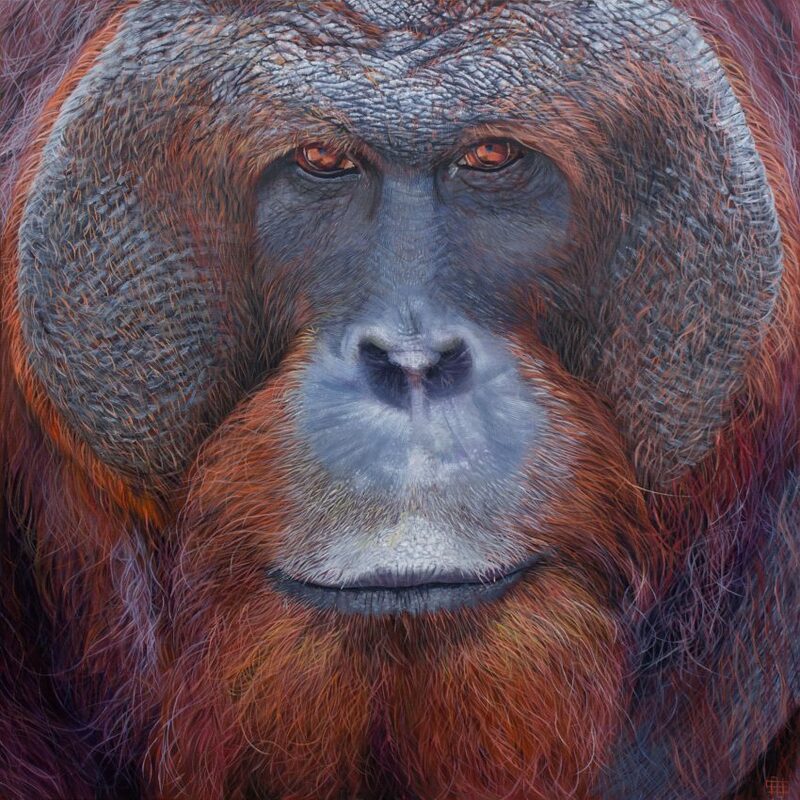 The name is derived from Malay and Indonesian words: orang meaning ‘person’ and hutan meaning ‘forest’. Orangutan, ‘person of the forest’.